Saw this at Forever21 and could not pass it up! 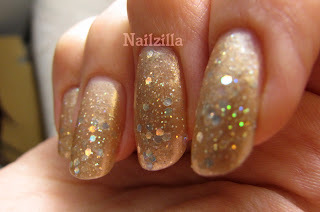 Chunky holo in metallic beige? Yes please! 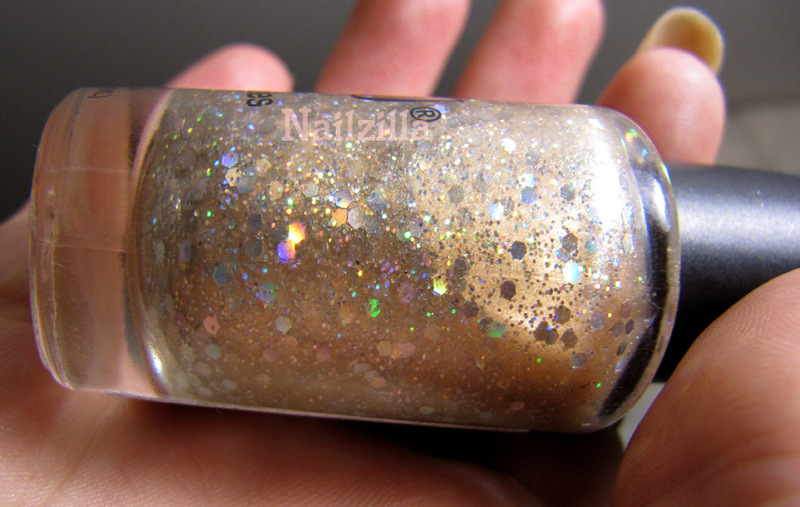 This is a strange color indeed...looks like an amazing beige disco ball in the bottle, it is a frosty(!) beige on the nail with chunky hex holographic glitter. Beside the hex glitters, there are smaller holographic glitters floating about. Application was a bit chunky, but opaque in two coats. I had to put a glob in the middle of the nail and spread from there. Second layer's glitters caught on the first layer, but they did not overlap each other! The result is very interesting. 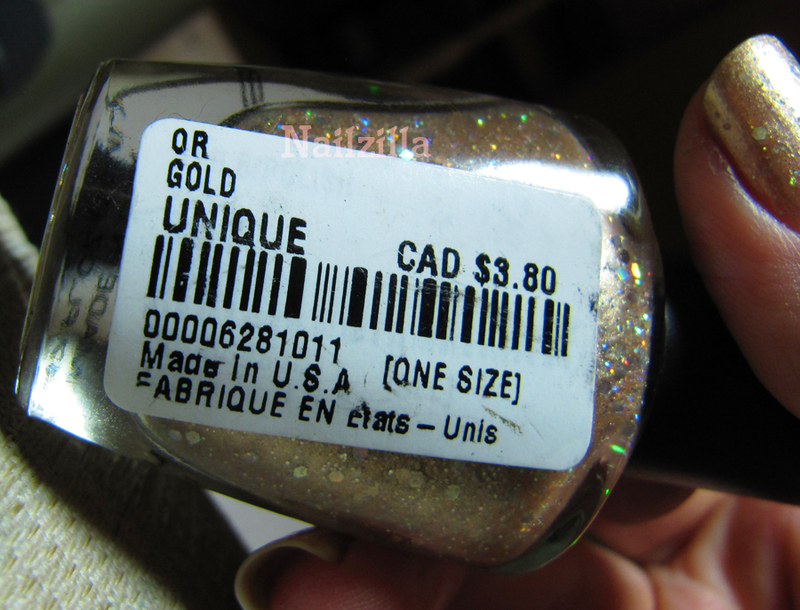 At the first glance, it seems as if the beige covers some of the glitter and looks chunky and gross. However, when the light hits, every single hex lights up in a rainbow! I really love looking at the polish in bright light, it's absolutely impossible! From a distance it looks very neutral, with a flash of rainbow. 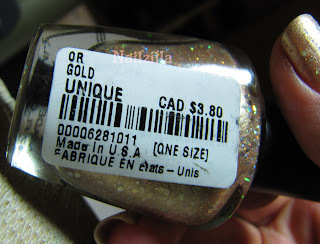 I was a bit confused about the name - my bottle says "Or Gold Unique" ("Or" possibly gold in french?) but when I looked online, apparently it's called Gold Iridescence.... At least I think so. The pictures seem to match up. Forever21 takes my heart away with some of their strange polishes, such as the green flakie (will review it later, pictured here on the left) and this is no exception. Very pretty and unique! I don't even mind the frostyness too much. How do you girls feel about chunky glitter?